I've griped about this for too long: I think that the new lobby at the Smart Tower is a huge, huge waste of space! 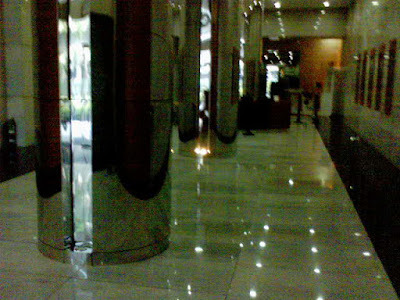 They have no seats and there're these large mirrored columns.. It's quite a looong stretch of tiles that doesn't even get that filled up! Oo nga, wala pang CR! bleh!